The fourth in the series of Hot Summer Nights readings at Copperfield’s Books, co-hosted by Redwood Writers, proved popular. 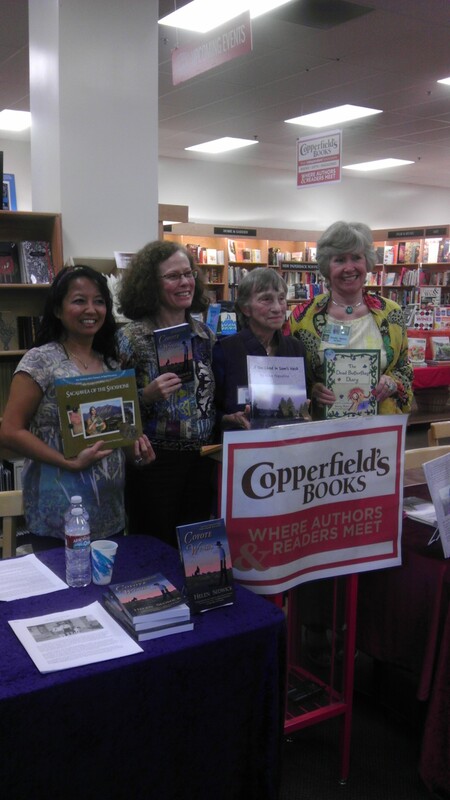 YA and Children’s authors were featured last night: (L-R:) Natasha Yim, Helen Sedwick, Nina Tepedino and Sandy Baker. This entry was posted in authors, California Writers Club, Kids' stories, Sonoma County, Writers and tagged books, California Writers Club, kids' stories, stories, writers. Bookmark the permalink. Thank you, Persia! I sure agree.